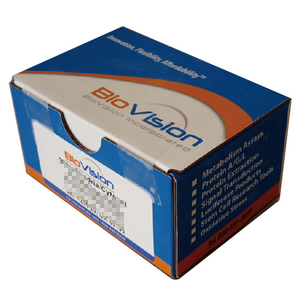 Applications This kit detects lipase activity as low as 10mU per well. • Sensitive assays for measuring Lipase activity in various biological samples. Kumar M., Naresh et al. (2016) Molecular characterization of human ABHD2 as TAG lipase and ester hydrolase Biosci Rep. 2016 Jul 15;36(4). Pruszynska-Oszmalek et al., In ovo injection of prebiotics and synbiotics affects the digestive potency of the pancreas in growing chickens. Poultry Science, Aug 2015; 94: 1909 – 1916.